On Friday, July 31, 2009, the religious supremacist organization Hizb ut-Tahrir will be holding another public conference, this time in the Ontario, Canada city of Mississauga. Unlike the July 19, 2009 Hizb ut-Tahrir conference which was held at a private facility in Chicago suburb Oak Lawn’s Hilton Hotel, the Canadian Hizb ut-Tahrir meeting will be held at a Canadian government-managed public facility, the Mississauga Valley Community Center. Researcher Madeleine Gruen believes that U.S. member of HT Mohammad Malkawi may speak at the Canadian conference, because Mohammad Malkawi has previously given speeches in Canada. HT’s Mohammad Malkawi moderated the July 19 HT conference in Chicago suburb of Oak Lawn. Responsible for Equality And Liberty (R.E.A.L.) has attempted to contact the Mississauga government to make them aware of the supremacist nature of the Hizb ut-Tahrir organization that it has rented use of the Mississauga Valley Community Centre Frank Bean Lounge facility to for their July 31 conference. After speaking to a representative at the Community Centre (905-615-4670), we were re-directed to the Mississauga government agency involved in booking the Frank Bean Lounge facility, the Mississauga government recreation and parks department (905-615-4100, choose “facility booking”). R.E.A.L.’s Jeffrey Imm spoke to a manager with the Mississauga recreation and parks department on this, and she stated that they are “looking into this.” The Mississauga recreation and parks manager also stated the person who made the booking of the Frank Bean Lounge facility for the Canadian Hizb ut-Tahrir meeting had held “previous meetings” there, and Mississauga “never had any problems or issues” with them. On the Mississauga web site regarding renting such facilities, one of the primary concerns is the use of such facilities in terms of serving alcoholic beverages. In addition, R.E.A.L.’s Jeffrey Imm contacted the diversity relations unit of Mississauga local law enforcement — highlighting that the group promoting the Canadian HT event – is also promoting a brochure that calls for the death penalty for Muslims who leave Islam as guilty of “treason and a political attack on the Khilafah” (page 62). We urge those concerned about the growing threat of the Hizb ut-Tahrir supremacist movement and its efforts to justify violence against those who seek freedom of religion to contact Canadian and Mississauga legislators to voice their outrage about this supremacist group using a Mississauga facility. Apparently, this is not the first time such proponents of Hizb ut-Tahrir’s supremacist ideology have used Canadian public facilities either. Contact Canadian and Mississauga government officials to get an answer as to why Canadian public facilities are being used to spread such supremacist hate. Check back at this posting to see if we get any additional Canadian government officials to contact. The supremacist Hizb ut-Tahrir (HT) group has been seeking to have international meetings to promote the creation of an international, supremacist caliphate. In addition to the July 31 scheduled conference in Mississauga, Canada, HT has met on July 19 in the United States, had a meeting on July 26 in London, and has another upcoming meeting on August 2 in West Bromwich, UK. At the July 19 meeting at the Chicago Oak Lawn suburb, HT publicly promoted its goal as the “supremacy” of its view of Islam. HT speaker Dr. Jaleel Abdul-Adil called for conference attendees to achieve such a supremacist caliphate, work towards making Islam “supreme on this earth,” or to “die in the attempt.” HT justified its supremacist views by stating “every group tries to expand its influence,” while distributing a pamphlet to conference attendees that justified killing Muslims who choose to leave Islam. The pamphlet ” ‘Islamic Reformation’ – Exposing the Battle for Hearts and Minds” distributed by the HT at the July 19 Oak Lawn, IL conference is also being distributed at the same HT website promoting the Canadian conference scheduled for July 31. The HT pamphlet mocks human rights, freedom, equality, and justifies killing Muslims who choose to leave Islam. It is designed to reject the concept of any type of “Islamic reformation” demanding instead the creation of a supremacist caliphate. The HT pamphlet mocks the efforts by Canadian Islamic reformer Irshad Manji (page 6), condemns “Women’s groups engaged in gender equality campaigns” (page 13), claims that challenging the Taliban’s rejection of human rights was merely a ploy “to attack Islam” (page 16), mocks “The Fallacy of Western Universalism” (page 21), mocks “allegedly universal values of secularism, freedom, democracy, Human Rights, pluralism, and the rule of law” (page 23), calls for “Shari’ah rule” (page 39), and demands separate laws for men and women. In the most recent July 26 London meeting, HT claimed that “thousands” attended its London conference, where HT attacked U.S. President Obama as seeking to “reinterpret the Qu’ran.” In August 2007, Barack Obama identified as America’s enemies those who would create “a repressive caliphate.” Such a supremacist caliphate is the primary organizational objective of Hizb ut-Tahrir. The supremacist Hizb ut-Tahrir group has also been condemned by various Muslims around the world. Dr. Zuhdi Jasser, President of The American Islamic Forum for Democracy (AIFD) has stated that “Hizb ut-Tahrir’s actions, ideologies and mission are unacceptable” to Muslims. At the July 19 Oak Lawn, IL pro-freedom conference challenging Hizb ut Tahrir, Responsible for Equality And Liberty (R.E.A.L. )’s Jeffrey Imm spoke to Chicago area protesters about Hizb ut-Tahrir’s history and goals. He explained Hizb ut-Tahrir’s (HT) history since 1953 in seeking to develop an international organization to implement a supremacist caliphate, and how Hizb ut-Tahrir has been building an organization for the past 10 years covertly in America. The July 19 Oak Lawn conference, Imm stated, represented Hizb ut-Tahrir America’s (HTA) belief that they can now begin their more public “Stage Two” (as described in the HT manifesto) of their process of developing a supremacist caliphate. This “Stage Two” represented HT’s belief that a public outreach to their objectives for promoting such a caliphate should now be initiated. Toronto, Nov 16 (IANS) Islamists are secretly working to build a ‘parallel society’ in Canada, warns an intelligence report. The declassified Intelligence Assessment report carried by the country’s National Post newspaper says extremists are secretly encouraging Muslims to shun Western society and live in a ‘self-imposed’ isolation. 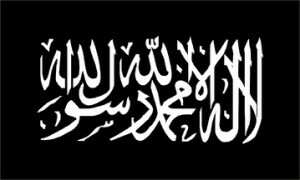 The Hizb ut-Tahrir and the Muslim Brotherhood are worldwide pan-Islamic groups working for the goal of creating a global Islamic state under Sharia laws. According to the newspaper, the Hizb-ut-Tahrir organised a meeting last year in Toronto’s suburban city of Mississauga to discuss the establishment of an Islamic caliphate. ‘While the issue of violence by Islamist groups has continued to be a counter-terrorism priority for Western governments and particularly security services for many years, Islamist social ideology appears to have gone unstudied, precisely because the use of violence is either unsupported or understated,’ the paper quotes the intelligence report as saying. According to the report, a liberal Canada has become an ideal ground for extremists forced to flee Muslim-majority countries such as Egypt – where the Muslim Brotherhood has a major presence even though it is banned – to preach these beliefs in the West. Canada is home to more than a million Muslims and their population is projected to triple in the next 20 years.